Cricket St Thomas Golf Club started as a 9 hole course originally designed in 1932 by J.H Taylor, 5 times Open Champion. In 1955 Leonard Fisher took over the course and extended it to 18 holes after acquiring additional land. There are some outstanding views over the surrounding countryside while you play golf so be sure to take a look around you while you play. 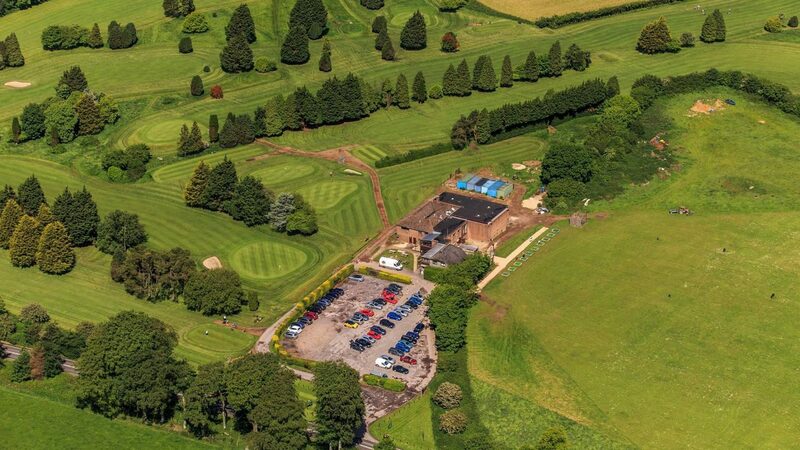 The course is a tough par 70 off the white tees with a fantastic drainage system making it a joy to play all year round, with its fantastic views across Somerset our golf course is a delight to play any time. Our friendly Pro Shop staff and Bar staff will go that extra mile to cater for any of your needs to make your day at our golf course as remember able and enjoyable as a day at any golf course should be we maintain high standards from our course marshalling to our cutting of the greens our professionalism shines throughout the golf club. Please come and try our golf course out for yourself. Starting from £20 per person including golfers’ breakfast and coffee. Please call for more details. We are located off the A30 just 15 miles from junction 25 of the M5 motorway near Taunton in Somerset or if you are coming from the East you can get to us from the A303 near Ilminster where we are about 7 and a half miles away. members guest £10. Weekend, visitor £30, members guest £20. Weekend twilight, visitor £20, members guest £15. Please contact club for details. Driving range open to anybody and a putting green open to green fees and members. Bar and food available all day.